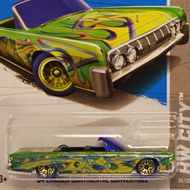 121/250 is part of the HW Racing series and the 2013 Treasure Hunt set. 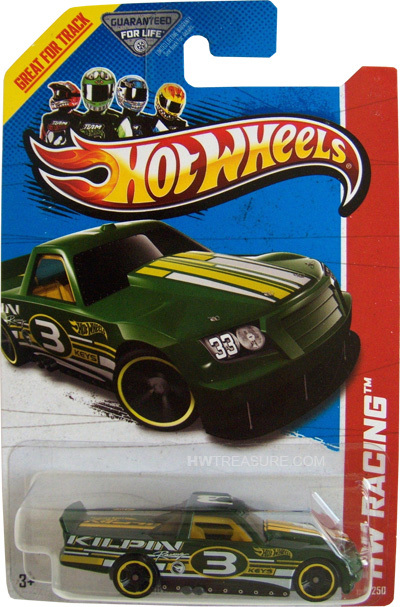 The truck sports yellow & white stripes on the sides and top plus “KILPIN Racing”, “3”, the Hot Wheels logo, “KEYS”, and the low production symbol on the sides. It has tinted windows, a yellow interior, black Muscle Car 5-spoke wheels with yellow rims, and a grey plastic Malaysia base. 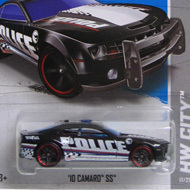 The vehicle premiered in the 2011 New Models series. It is a modified pickup truck much like the ones used in NASCAR racing.